Otra vez más una chica fue la culpable de este temazo...Corría el año 1978 cuando el cantante del grupo The Knack, Doug Fieger en busca de su atuendo personal, decidió por los caprichos del destino entrar en una tienda de ropa en Los Ángeles.Al alzar la cabeza, sus ojos tropezaron con una joven, la reacción fue inmediata según declaró Doug. "Fue como si me golpearan con una bate de baseball en la cabeza, me enamoré al instante". Como en la vida no todo es maravilloso como en las películas, y además Doug no era una belleza precisamente...Doug recurrió a los recursos que tenemos los feos, la risa y la adulación incesante, de ahí nació "My sharona". Funcionó de veras..Sharon abandonó a su novio y se marchó de gira con "The Knack", no sólo eso, el single vendió 1 millón de copias en 15 días. La historia de amor duró tres años, luego sus caminos se separaron. Sharon Alperrin actualmente trabaja en una inmobiliaria pero quedó inmortalizada en la portada del disco. Once again a girl was the culprit of this powerfull song... It was Running the year 1978 when the singer of the group The Knack, Doug Fieger in search of his personal pomp, decided for destination´s caprices, get in a shop of clothes in Los Angeles. On having lifted the head, his eyes stumbled over a young woman, the reaction was immediate as Doug declared. " It was as if they were striking me with one it beats of baseball in the head, I fell in love to the instant ". Since in the life not everything is wonderful as in the movies, and in addition Doug was not a beauty precisely... Doug resorted to the resources that we have the snubs, the laugh and the incessant flattery, of there there was born " My sharona ". it worked in deed.. Sharon left his boyfriend and left of tour with "The Knack", not only it, the single sold 1 million copies in 15 days. The love history lasted three years, then theirs ways separated. 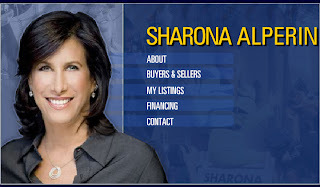 Sharon Alperrin nowadays is employed at a real estate agency but she remained immortalized in the front page of the disc.and in this song of course.